It's been four months since we last had a taste of the controlled madness Rizin Fight Federation serves up for MMA fans. Rizin FF 5 – Sakura—is the promotion's first effort of 2017 and its inaugural event to be hosted in Yokahama Arena—a venue which provided the platform for multiple Pride cards with famed fights such as Fedor Emeliananko vs. Antonio Rodrigo Nogueira, Quinton "Rampage" Jackson vs. Kevin Randleman and Mirko Cro Cop vs. Heath Herring. 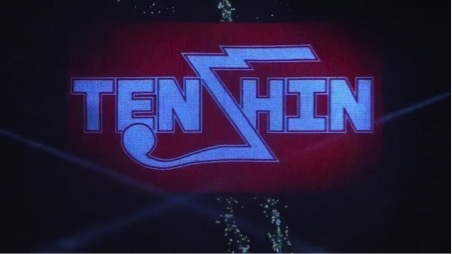 Last weekend's event showcased the best of upcoming Japanese talents such as Kyoji Horiguchi, Tenshin Nasukawa and Rena Kubota, while the likes of Daron Cruickshank and Amir Aliakbari continue their respective paths to becoming JMMA staples under the Rizin banner like the characters featured in those classic Pride fights listed above. There were mounted crucifixes aplenty on this Easter Sunday morning. If you missed Rizin FF 5 or fell asleep in trying to watch it in the wee hours of the morning, don't worry—Fightland has you covered as ever. In what had been rumoured to be Tatsuya Kawajiri's final fight, the JMMA fan favourite headlined his second Rizin event. After coming up short against Kron Gracie last time out, Kawajiri will have been hoping to get the better of Anthony Birchak this time round. American Birchak said in his pre-fight package how he wanted to prove MMA was a young man's game and put Kawajiri out to pasture, but the Japanese veteran thought otherwise. Much of the fight was contested in the clinch and on the ground as former Shooto world champion Kawajiri dictated the vast majority of this 15-minute fight. Birchak did well to stay alive and active throughout, but Kawajiri's ground skills proved too much for the former UFC man. There's a reason why Kawajiri's nickname is the "Crusher," and he showed off his ground and pound skills today—if he wasn't looking for an arm-triangle choke, he was mauling Birchak's face. 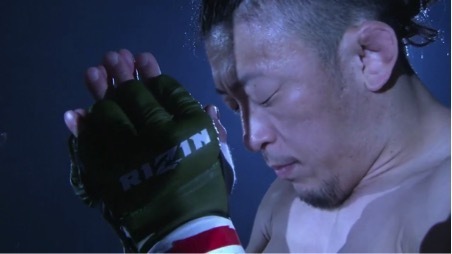 After 15 gruelling minutes, Kawajiri won a unanimous decision against a game Birchak—the former's first win under the Rizin banner since deciding to up sticks and move from the UFC back to his homeland. At the time of writing, it's unclear what is next for the Crusher. Amir Aliakbari, a former World Wrestling Championships gold medal-winner (before being unceremoniously stripped of his title for failing a drug test), returned to the ring after tasting defeat in his MMA career for the first time against Mirko "Cro Cop" Filipovic in the finals of Rizin's Openweight Grand-Prix on New Year's Eve. 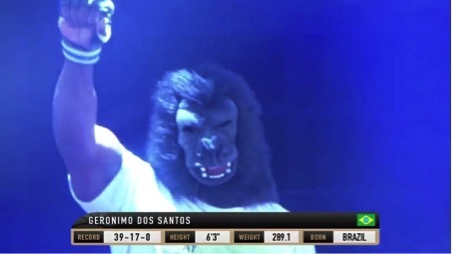 His test today was the enormous traps and gorilla mask of Brazilian superheavyweight Geronimo "Mondragon" dos Santos—a Rizin debutant. Given dos Santos' penchant for knockout wins and Aliakbari's susceptibility to getting punched in the face, the latter was wise to utilise his extensive wrestling skill set and quickly take the Brazilian down from the clinch. From there, the Iranian quickly moved to side control and rained down short punches and hammerfists while on the mat. Looking helpless on his back, Mondragon tried to buck and roll to shift the giant weight bearing down on top of him, but that was all to no avail as Aliakbari secured him in a mounted. With dos Santos unable to escape the position and continually eating strikes, the referee called an end the fight—much to the dismay of an embattled Brazilian. Mondragon may have been half-heartedly protesting, but it was the right call from the referee. After this clear mismatch in wrestling ability, it's hard to know where Aliakbari stands among his fellow heavyweights. 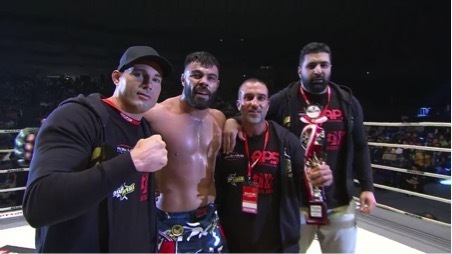 Aliakbari is now 4-1 under the Rizin lights. Rizin's pre-fight package featured Kyoji Horiguchi's time in the UFC, boldly naming him a main event player despite not featuring his fight—as one of the world's best flyweights—as the headline act or even as a co-main event. Having not fought in Japan since 2015, a winning effort against Chico Camus while in the UFC, Horiguchi was welcomed back to fighting in his home country by compatriot Yuki Motoya, who hasn't suffered an official loss in almost four years. Flanked to the ring by the recently-retired Brad Pickett and Mike Brown, his coaches at American Top Team, Horiguchi looked focused on delivering his promise of becoming Rizin's first ever flyweight champion someday. The fight got off to a flying start as Motoya leaped at Horiguchi, only to be met with a stinging right hand and a running follow-up assault. As for the rest of the round—thank the lord for Japan's insistence on ten-minute opening rounds. The pair continually traded blows and grappling exchanges with Horiguchi getting the better of Motoya in both departments. Horiguchi threw the kitchen sink at his opponent, including a face stomp, but Motoya somehow withstood that punishment and responded in kind with attacks of his own in a frenetic first round. The second stanza started in a similar fashion as Motoya somehow eats everything Horiguchi had to throw at him and continued to fire back. Horiguchi looked to grapple more in the second round, securing a number of takedowns and handing Motoya plenty of strikes while grounded, though the former was constantly threatened by the latter's numerous kimura attempts. Horiguchi was name the deserved winner in a fun fight and I can't wait to see how his career flourishes with all these additional techniques he can now use while fighting for Rizin. 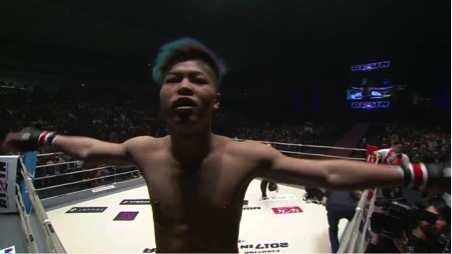 Arguably Japan's most coveted fighting talent, Tenshin Nasukawa made his third appearance in MMA and under the Rizin banner. Just 18, Nasukawa already carries the weight of expectation from his country, having already compiled a ludicrously impressive résumé in the kickboxing world for someone his age. On this occasion, his opponent was a debutant in Francesco Ghigliotti—an Italian kickboxer who strolled to the ring to the sounds of Nessun Dorma. Nasukawa stalked his opponent from the off and Ghigliotti was on the retreat, but the Japanese phenom expertly cut the Italian off in the ring. A piercing, piston-like left hand opened Ghigliotti up and Nasukawa seamlessly throws a left head kick to follow, which sends his opponent reeling and eventually crumpling to the canvas. A couple of strikes on the ground and the referee correctly calls a halt to the action. Ghigliotti may have not been the most inspired of match-ups for Nasukawa, but Rizin have a superstar on its hands in Nasukawa. Japan's other upcoming MMA star who moonlights in the shoot/kickboxing world is Rena Kubota. Unlike Nasukawa, Rena has a tough opponent in Hungary's Dora Perjes who boasts a record of 7-1. The fight started as frantically as Nasukawa's had just ended—Rena tries to get in close to implement her striking game, but Perjes pounces and daringly attempts what looks to be a flying back-take, if that's a thing. She almost lands it, but instead falls into a position for an armbar attempt which initially looks tight. Rena manages to escape and the fight is restarted on the feet with the Japanese striker discouraged from engaging in Perjes' guard once more. Rena reengages with a liver kick which folds Perjes, but Rena—perhaps forgetting this isn't a shoot boxing bout—walks away before referee Jason Herzog reminds her they need to continue fighting. Perjes stands once more and falls once more as a push kick to the body proves too painful to withstand. Perjes, who has a history of leglock submission wins, tries to grab onto the leg of Rena while grounded, which Rena meets with some emphatic stomps to the head, which the Hungarian somehow eats without issue. The pair stand once more and, once again, Rena drills Perjes to the body with another kick. Perjes is waning and Rena senses that and sets up a beautiful finish which sees her throw a straight right hand to the face of Perjes, before following up with a nasty left hook to the body. Perjes falls and the Herzog rightfully calls the fight off. Great action as Rena moves to 4-0 in her budding MMA career. 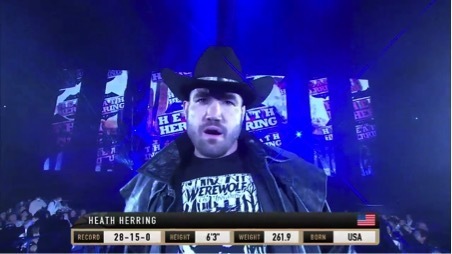 Always a fun fighter to watch and totally affable as a person, witnessing Heath Herring walk to the ring for the second time since an eight-year hiatus is like rekindling a friendship with an old acquaintance. Today's opponent is Japanese Olympic gold medallist Satoshi Ishii—four months after Herring took the hulking Amir Aliakbari to a decision in the Quarterfinals of Rizin's Openweight Grand-Prix at the tail-end of 2016 as a last-minute entrant. The opening 10-minute round was a difficult watch with those viewing from North America, I'm sure, struggling to stay awake. Herring came out swinging as soon as the bell rung, but Ishii smartly took the fight down to the floor to execute the gameplan he knows best. Herring continually bucked and tried to get up off the canvas, but Ishii's high-level judo control proved too much as he comfortably kept his American opponent on the ground—sprinkling in some ground and pound in between half-hearted submission attempts and plenty of positional transitions. With five minutes left of the fight following the opening round, Herring again rushed out of the gate to try and bring the fight to Ishii, but the Judoka took him down once again in an attempt to secure a win to snap his three-fight losing streak. The shorter second stanza followed the first in a similar fashion and Ishii controlled the fight with ease on his way to earning a unanimous decision in a dominant, yet boring contest. At 39 years old and having took so much time off away from the sport, Herring had nothing to offer Ishii on the ground. Hopefully we get to see Herring against a fighter who isn't a spoiler before he hangs up his gloves for good. You may recall a professional wrestler named "Alpha Female" storming the ring to confront Gabi Garcia immediately following her fight against Yumika Hotta to set up some sort of grudge match down the road. Well, Alpha Female, otherwise known by Jazzy Gabert, made her Rizin debut today. In her way was "King" Reina Miura—a character in her own right as she slowly strolls to the ring with attitude, a crown and teddy bear in tow—who was giving up over 30lbs in weight and nearly a foot in height. The fight kicked off with the pair swinging for the fences in scenes reminiscent of Don Frye vs. Yoshihiro Takayama back in Pride 21, with both women landing big strikes which showed little semblance of honed technique. Despite the clear physical disadvantages she faced, King Reina had a clear advantage over Alpha Female in terms of experience despite only having two professional bouts to her name. 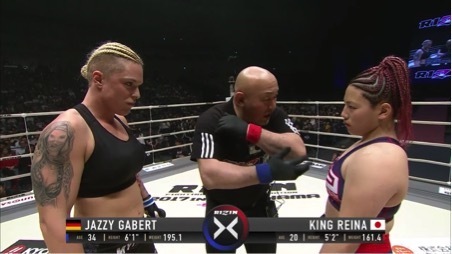 Once she was fed up with the striking exchanges, King Reina took down her opponent with ease with Gabert looking like a fish out of water on the ground. King Reina seemingly could have finished the fight at any time she wanted on the ground, hammering Alpha Female with punches while pinning her down in a mounted crucifix. But Gabert showed a lot of heart and will to withstand the constant punishment down on the mat, somehow surviving to face the second round. The second round began just like the opening stanza, with both women trading shots on the feet. But, once again, King Reina took the fight down to the mat and had her way with Alpha Female. Eventually King Reina showed her opponent mercy by decisively finishing her off with an armbar. Crushed, Alpha Female sobbed in a crumpled heap in the ring as King Reina prepared to cut a promo. So much for that Gabi Garcia match-up. "The Detroit Superstar" Daron Cruickshank took his talents to the Rizin stage once again, this time taking on Yusuke Yachi—a member of the Krazy Bee stable of fighters made famous by Norifumi "Kid" Yamamoto all those years ago. Cruickshank has been revelling in a Japanese MMA scene which values exciting fights, unlike the results-oriented world of the UFC. After walking out to the strains of "Real American," the entrance theme made famous by Hulk Hogan, Cruickshank had a big task ahead of him in Yachi, who was visibly the larger man in this lightweight contest. Cruickshank was looking to blitz his opponent with front kicks and punches, even landing a spinning back fist in the melee on one occasion, and had Yachi on the backfoot for much of the fight. However, Yachi's counters kept his American foe hesitant by his standards. This proved a sign of things to come as Cruickshank once again attempted to blitz Yachi, who responded in kind with short right hook to knock Cruickshank out cold, sending him crashing to the canvas. 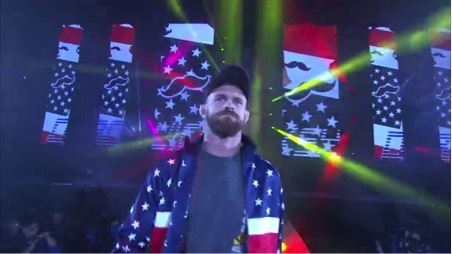 It was a shocking conclusion to the fight and to paraphrase Mauro Ranallo in commentary, Cruickshank well and truly tasted the sting of a Krazy Bee. Our second contest of the event at 105lbs saw Japanese atomweight stalwart Saori Ishioka (14-10) make her Rizin debut against Kosovo-born Swiss fighter Bestare Kicaj (2-0). It was another fight pitting an experienced Japanese fighter against a relatively inexperienced European fighter, and like with Asakura vs. Toncheva, that experience told. Kicaj started the fight aggressively, looking better in the striking department before winning the initial grappling exchange, wrestling Ishioka down to the floor. This proved to be a big mistake as Ishioka reversed position and landed on top. Kicaj's armbar attempt was lightly brushed off by Ishioka as she uses Kicaj's new-found positioning to her advantage—taking her opponent's back in the process. Ishioka quickly slaps on a tight-looking rear-naked choke which leaves her Swiss foe red in the face and flailing her arms in desperation—forcing the referee to intervene. With eight bouts (6-2) under her belt and an extensive amateur wrestling background, 19-year-old Kanna Asakura has been widely tipped as the future of the atomweight division in Japan. But in Bulgaria's Aleksandra Toncheva, Asakura was facing a gold medal winner at the 2016 IMMAF World Championships who was making her pro debut after compiling a perfect 8-0 amateur record. Toncheva's impressive amateur résumé seemed to not matter against Asakura as her wrestling proved the main factor throughout the contest. From singles to blast double-leg takedowns, Asakura had her way with Toncheva in the grappling department. The Bulgarian occasionally threatened with submission attempts, but those were futile. Asakura's ground and pound was as vicious as her takedowns were dominant—totally at odds with the schoolgirl costume she wore down the ramp on her way to the Rizin ring. Thudding punches and a soccer kick to boot, if you pardon the pun, the tough Toncheva ate the lot in a tough introduction to life on the professional MMA scene as Asakura romped her way to a comfortable unanimous decision win. Two of Japan's up-and-coming flyweights kicked off the card at Yokohama Arena with Seiichiro Ito making his Rizin debut, taking on fan favourite Kizaemon Saiga. Though younger, grappler Ito has the MMA experience edge over K-1 fighter Saiga and that showed. Saiga's strikes looked to have more venom behind them in the opening round of 10 minutes, but the fight changed drastically when Ito unexpectedly knocked Saiga down with a wild overhand right to the dome. From there, Ito dominated the rest of the round, threatening with submissions and successfully nullifying Saiga on the canvas. Saiga entered the second round with a sense of urgency, aggressively taking it to Ito after sensing he had come up short in the opening round. Saiga landed a series of punches and knees with Ito responding in kind to quell the advances of his opponent. With time ticking away, Ito pulled guard to bring Saiga back into his world and see off the remainder of the fight on the floor—transitioning to take his opponent's back and threaten with a rear-naked choke. Saiga swept to top position and landed some solid ground and pound but it was too little, too late. 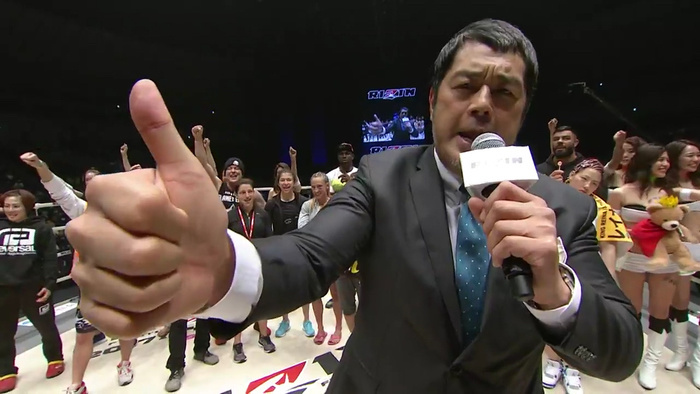 Thanks to a dominant 10-minute round one, Ito won a unanimous decision over Saiga—much to the disappointment of Saiga's hollering wife, who is almost as much of a star as her husband is.